it’s going to be all graphic, with as little lettering as possible. no dialog, no narration. 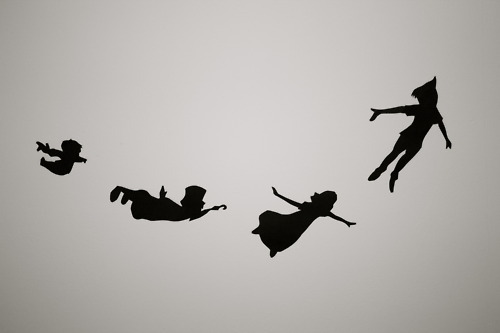 when the boy and girl are in a receptive state, ex-kurt’s wireframe hand comes out of a tiny cloud and sprinkles them with pixie dust, shows them how to fly, and sends them off to the first star on the right. 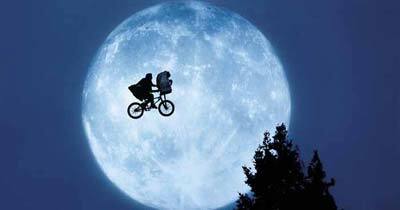 the image is of michael and john, done just the same way as ET flying over the moon. just thought i’d share it. Posted on January 21, 2012, in author's note. Bookmark the permalink. Leave a comment.